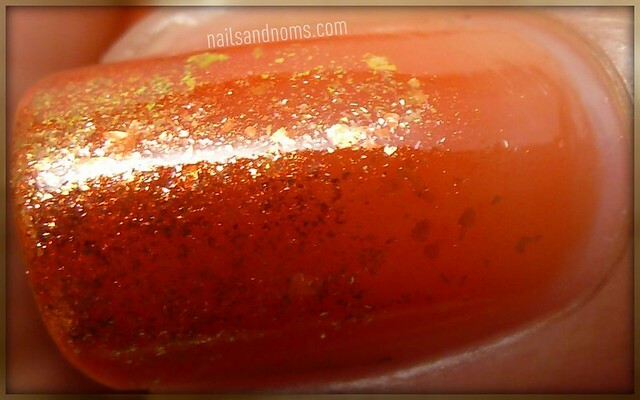 Here's another guest post for you, this time from Rie from Nails and Noms. I wanted to do something special for her blog. I had recently just created my first gradient nail art as part of the 31 Day Challenge I'm currently doing, and I was excited to have the chance to create another one for Oooh, Shinies! I like to call this one my "Orange Juice" gradient manicure. 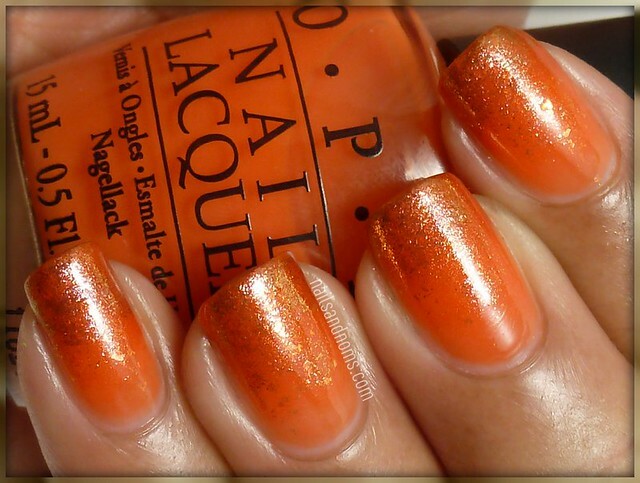 The squishy texture of the jelly polish mixed with the shimmer reminds me of a tall glass of ice filled orange juice! ^_^ I started off with a light coat of Y'All Come Back, Ya Hear? 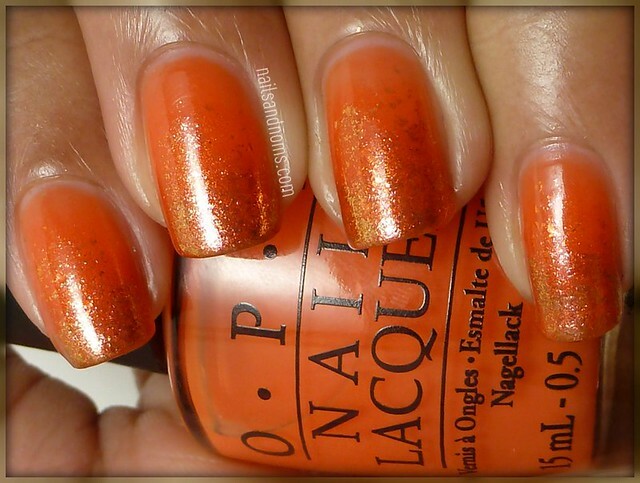 by OPI. Then I added another thin coat of YCBYH a little further up my nail. 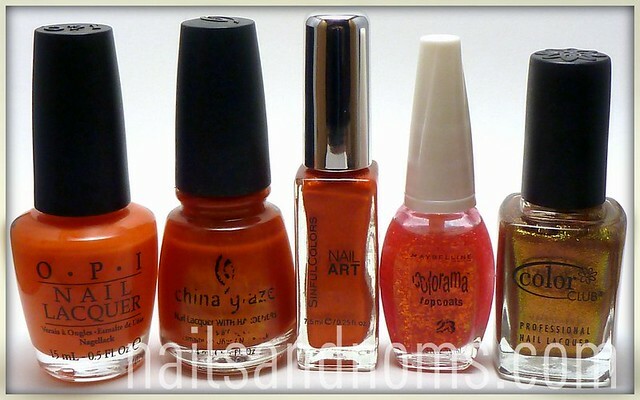 I then sponged on Free Love by China Glaze, Sunset by Sinful Colors, Ruby Rays by Maybelline, and finished the tips of my nails with a light sponging of Wild And Willing by Color Club. 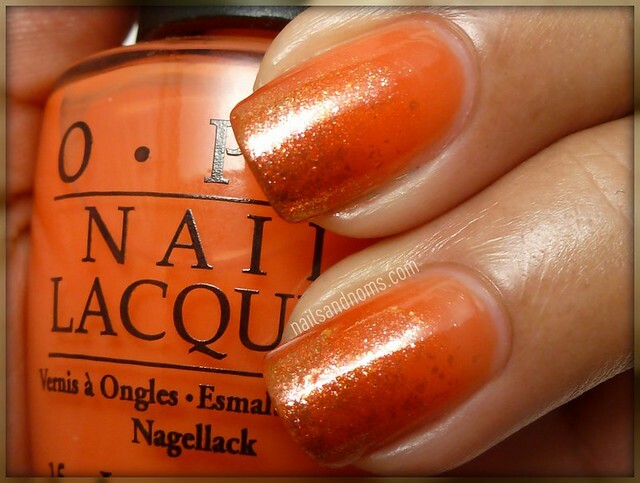 Rie has great swatches and very creative manis, especially now that she's doing the 31 Day Challenge, so make sure to have a look at her blog!